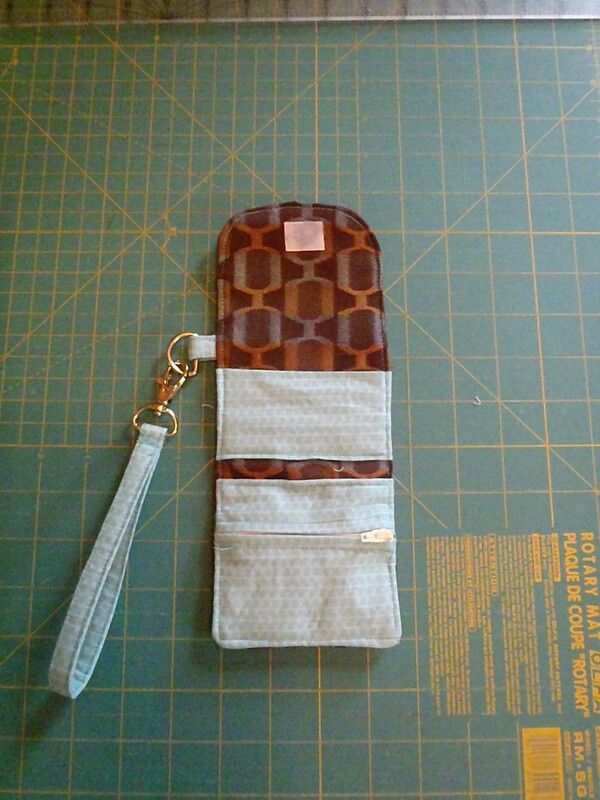 I was able to pull fabric from my stash of extras and cast offs and “what was I thinking” fabrics. Like all quilters, I have a huge amount of odds and ends of fabric on hand. I think it’s awfully cute! 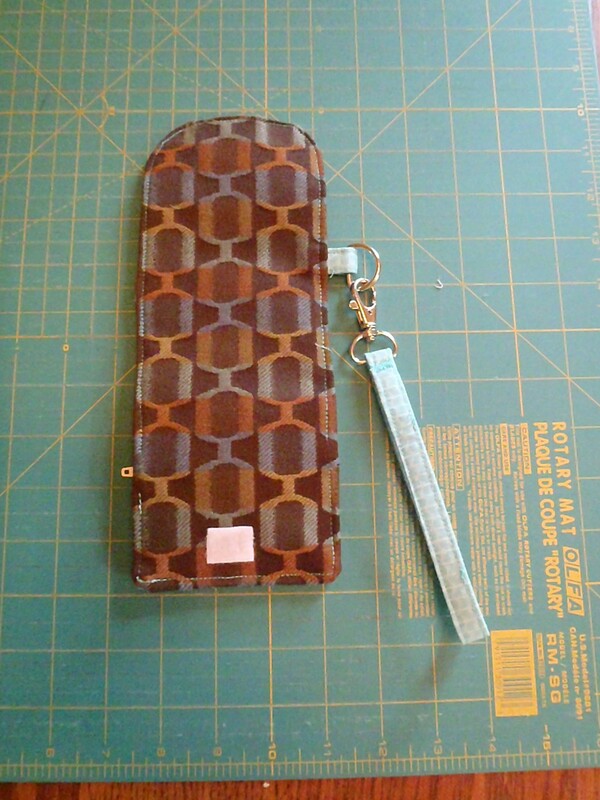 It has a credit card/id holder and a zippered pouch for cash and change. 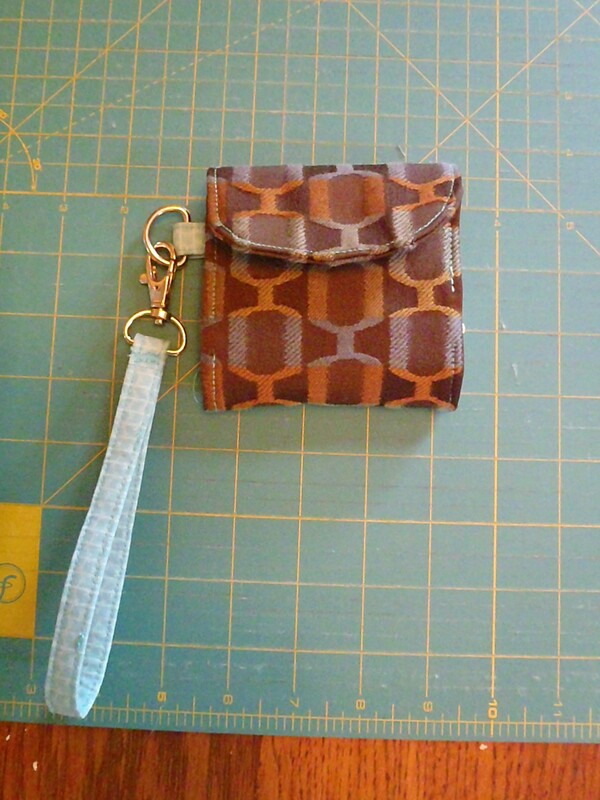 The credit card holder can fit up to 4 different cards and the zippered pouch can hold quite a lot of coins. I should have made this months ago! I really needed this kind of wallet for the pool and beach! I plan on making a few more of these for the annual Christmas show. I think instead of Velcro, I might use magnetic snaps on this kind of heavy decorator cloth. For the lighter fabric, a Velcro tab will have to do.